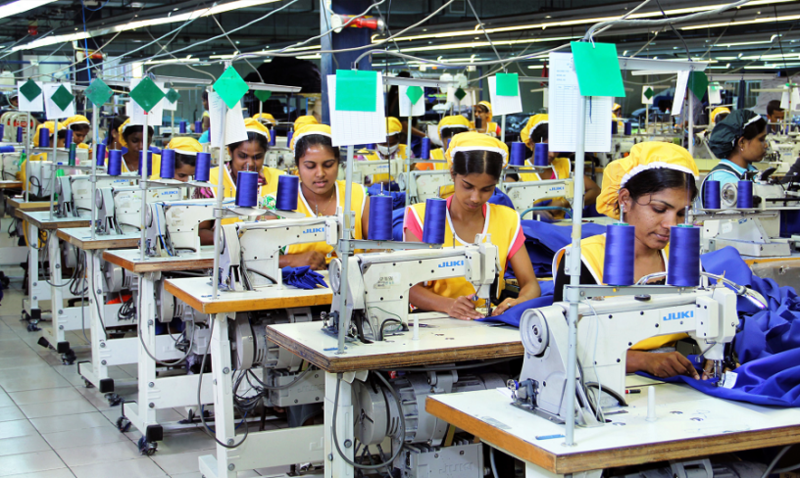 Sewing machine operators are the main performer of an apparel manufacturing industry. They will accomplish the real job of this arena. Thus they are considered as the backbone of a garment industry. All of the other people engaged in this ground do the auxiliary tasks. Sewing machine operators are the main driven forces of a garment industry. We can’t think of the garment industry without sewing machine operators. Operators have the right to know what level of performance; skill and workmanship are desired by a garments owner from them. Then they can prepare themselves to be a part of the organizations. So, a written job description should provide to them for their betterment by garments owners. Each point of the job description must be described to them if operators become uneducated so that they can understand their job responsibilities, liabilities easily and can finish their assign task promptly. Beside this HR should arrange a monthly meeting to make awareness among sewing operators regarding their assign task. Here I have tried to compile some major duties of sewing machine operators. Please find common Major Duties of a Sewing Machine Operator in Apparel Sectors to make conscious in their job tenure. Sewing Machine Operators must love their task from heart and soul. Dressmaking is a labor-based industry. So they should become social, obedient to work together. Each piece of A-grade garment will increase the profit of owners. So sewing machine operators should not be talkative and must pay full attention to their task. Sewing machine operators should present every day to their floor in time & have to clean their own machine and workplace gradually. They need to check 7 points first to ensure that their workstation is ready to proceed. They have to attend early morning short briefing what will arrange by supervisors or production manager. They have to wait for particular instruction and daily target from their supervisor to accomplish their assign job perfectly. They will ensure that his machine is equipped with an eye guard or needle guard or puller cover. They should seek a reference sample or mock-up sample, trim card from their supervisors so that they can complete their assign task smoothly. They have to check reference sample carefully to get a sound knowledge of sewing techniques & quality standard. They should check the hourly & daily production target of running style from their supervisors. They should ask any unclear point if arise regarding sewing or quality issues from their supervisors. Sewing machine operator is an important part of a garment industry. Garments making is a chain process. So they should work as a team. They shouldn’t think as an individual person. They have to keep measurements as per work order sheet or specification sheet. So they should become conscious during dressmaking. They have to ensure necessary seam allowances as per worksheet. Each piece of garment is valuable to the owners. Thus they have to pay the highest care to erase unwanted rejects or defects. They should become conscious during garments parts sewing so that they do not get spoil or stain. They should become conscious in handling bundles, numbering and cut panels checking to avoid mix-up. They should use hand gloves and scarf to remove dirt or stain. They must pay their highest effort to achieve daily target. They will check needle from time to time to ensure that it is not blunt or broken. They should check machine tension to avoid puckering. If somehow any bottlenecks arise, they must discuss with their supervisors to remove it carefully. Whenever face any sewing problems or sewing defects and critical sewing techniques they should discuss with the supervisors & senior operators to solve it. Sewing machine operators should check stitch per inch (SPI) as per buyer standard. They should take care of their sewing machine and clean it regularly to get smooth operation. Sewing machine operators should not become frightened at the time of hazards or fire disaster. After cleaning sewing machine and oiling, he should check its performance. They shouldn’t compromise with the expected quality standard. They should attend firefighting training program to handle firefighting equipment to face uncertain occurrence. They should use a mask to avoid dust and micro origins. Sewing machine operators should not engage with any labor dispute, violence or anti-state movement. If arise any personal issue like salary, leave, illness etc. sewing machine operators should discuss with line leader or counselors to solve quickly. Sewer Duties and Responsibilities in Clothing Industry! SOP of Sewing Machine Operator!